Consuming these compounds found in fruits can reduce obesity, type 2 diabetes and heart disease. Two compounds not usually found together can increase the body’s ability to fight obesity, diabetes and heart disease, new research finds. Red grapes contain trans-resveratrol (tRES) and oranges contain hesperetin (HESP) compounds. Pharmaceutical doses of these two compounds together reduce blood sugar, improve insulin sensitivity and artery function. “This is an incredibly exciting development and could have a massive impact on our ability to treat these diseases. 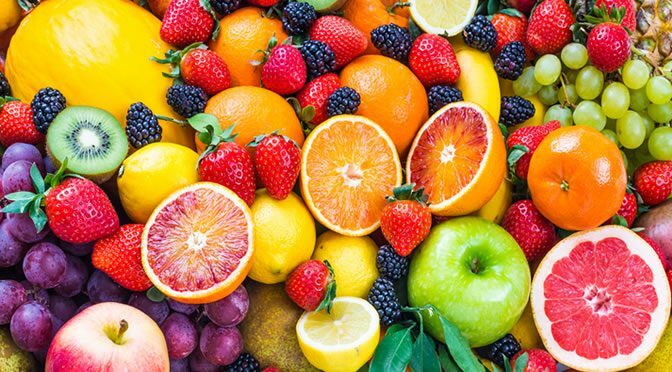 The trans-resveratrol and hesperetin compounds are also naturally found in different fruits but the problem is that the amounts in these fruits are not enough even by increasing fruit consumption in your diet. Therefore, to see the effect a pharmaceutical dosage in a capsule form has to be given to patients. This is what was tested by Professor Thornalley’s team. The subjects for this study were overweight and obese people with a BMI between 25-40 and aged from 18 to 80. For eight weeks they took the supplement in the capsule form and they were monitored by a dietary questionnaire. The patients were told to keep their usual diet and daily physical activity the same as before and not to change their daily routine. Their blood samples were tested to see any changes in sugar levels and artery function was analysed by blood markers. The overweight patients with BMIs over 27.5 showed an increase of Glo1 activity, reductions in glucose levels and improved insulin function, decreased blood vessel inflammation and increased health of the arteries. The compounds increase a protein known as glyoxalase 1 (Glo1) in the body, which neutralises a harmful sugar-derived compound known as methylglyoxal (MG). A high-energy diet can increase the level of MG in the body and the cells become resistant to the hormone insulin — that can lead to type 2 diabetes. This also result in heart disease by damaging blood vessels and impairing the handling of cholesterol. The study shows that blocking MG production in overweight and obese people can improve glycemic control, type type 1 and type 2 diabetes and vascular function. “Obesity, type 2 diabetes and cardiovascular disease are at epidemic levels in Westernised countries. Glo1 deficiency has been identified as a driver of health problems in obesity, diabetes and cardiovascular disease. Diabetic kidney disease will be the initial target to prove effective treatment for which we are currently seeking commercial investors and partners. Our new pharmaceutical is safe and expected to be an effective add-on treatment taken with current therapy. The key steps to discovery were to focus on increasing Glo1 and then to combine tRES and HESP together in the formulation for effective treatment. The study was published in Diabetes (Xue et al., 2016). ‘Fat And Fit’: Is Healthy Obesity A Myth?